The Republic of Kenya is a country in East Africa. 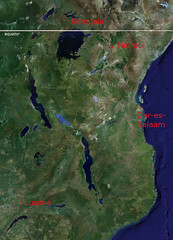 Lying along the Indian Ocean, at the equator, Kenya is bordered by Ethiopia (north), Somalia (northeast), Tanzania (south), Uganda plus Lake Victoria (west), and Sudan (northwest). 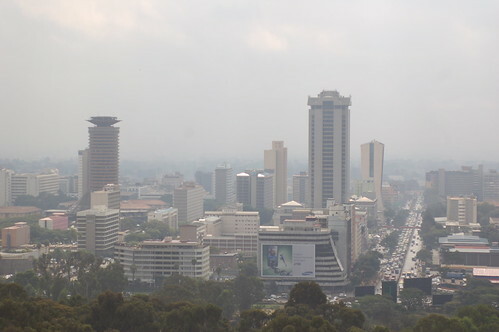 The capital city is Nairobi. 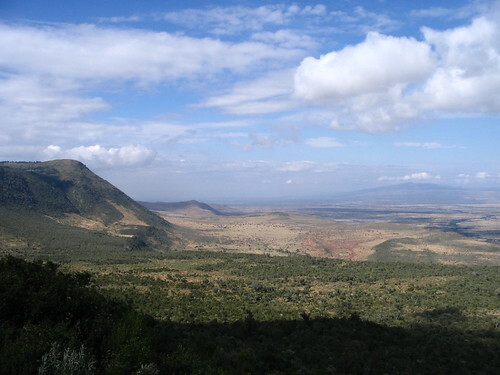 Kenya spans an area about 85% the size of France or Texas. The population has grown rapidly in recent decades to nearly 38 million. 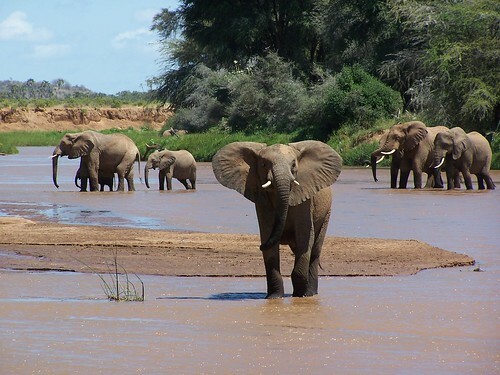 Kenya has numerous wildlife reserves, containing thousands of animal species. 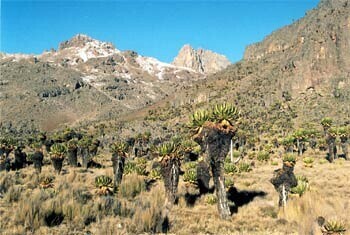 The country is named after Mount Kenya, a significant landmark and the second among the highest mountain peaks in Africa. The estimated population for 2009 is 39,802,000 inhabitants. Kenya got its independence from the United Kingdom on December 12th, 1963. A LINK to the Wikipedia article. The Maasai are an indigenous African ethnic group of semi-nomadic people located in Kenya and northern Tanzania. Due to their distinctive customs and dress and residence near the many game parks of East Africa, they are among the most well known of African ethnic groups. 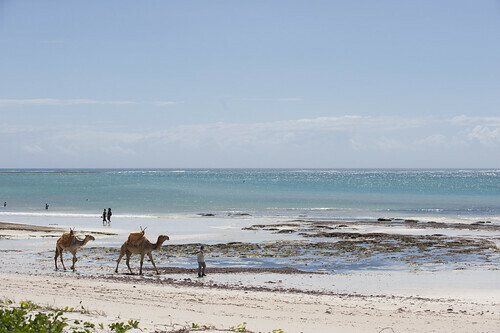 They speak Maa and are also educated in the official languages of Kenya and Tanzania: Swahili and English. The Maasai population has been variously estimated as 453,000 language speakers in Kenya in 1994. Estimates of the Maasai population are complicated by the remote locations of many villages, and their semi-nomadic nature. 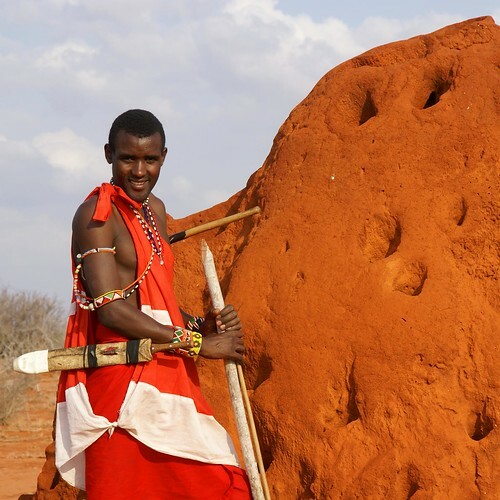 Although the Kenyan government has instituted programs to encourage the Maasai to abandon their traditional semi-nomadic lifestyle, the people have continued their age-old customs. This entry was posted on novembre mercredi, 2009 at 23:13	and is filed under Other English-speaking countries. You can follow any responses to this entry through the RSS 2.0 feed. You can leave a response, or trackback from your own site.